A new SAS Analytics-sponsored, Conference Board of Canada report on how to more effectively collect from tax cheats suggests using more data analytics software as a solution. Released on Feb. 13, the report doesn’t attempt to calculate Canada’s “tax gap” – the money that the Canada Revenue Agency (CRA) should collect from tax evaders, but doesn’t – it assumes Canada’s situation is similar to that of other countries that have done quantitative reports. After looking at the gap in other countries such as the U.S. and the U.K., the report estimates Canada’s own tax group between $8.9 billion and $47.8 billion. Not much information is available about how much revenue Canada could be using to tax havens or “shadow market” activity, the report states. In June 2016, a CRA conceptual paper estimated an average annual loss of 5.6 per cent annually on HST and GST collection between 2000-2014. 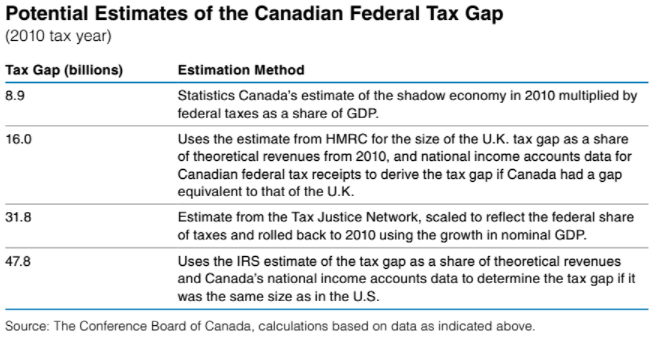 A table in the Conference Board of Canada report on the tax gap contains estimates made by different studies. However large the “tax gap,” we can be sure that the CRA would like to recoup as much of that lost revenue as possible. 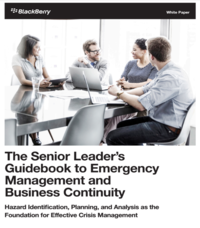 To do so, it might consider increasing its use of data analytics software, the report recommends. In addition to other measures like simplifying the tax code and spending more on enforcement measures, data analytics could help identify cases where there’s a high risk of tax evasion. The Office of the Revenue Commissioners in Ireland also used predictive analytics to identify cases for audits, the report states. It found a pilot project to identify high-yield cases to be successful. The U.S. IRS bears another example of an agency looking at software to help it identify many different potential tax problems.